We will explore the sights and sounds of winter in Arlington’s Great Meadows. What plants are prominent this time of year when not overshadowed by the bounty of spring and the explosion of color in summer. What is happening under the snow and ice? Are there tracks or signs of the wild fauna that we share this space with. Can we find comfort as Alison Smith writes in knowing that the “spring tide of new life is already on the move”? For information contact us at info@FoAGM.org or subscribe to our email list for updates. Also visit the Citizens for Lexington Conservation website for other events in the Lexington/Arlington/Winchester area. Join our email list to receive up to the minute announcements. A proposal to restore upland meadow areas in Arlington’s Great Meadows was presented at a public meeting on the evening of July 14th of 2009. 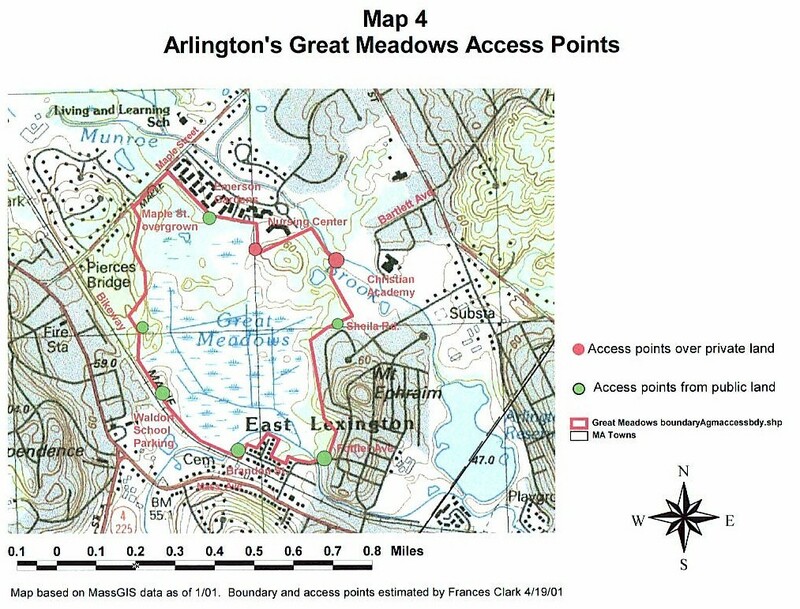 The Mass Audubon report about the proposed project was entitled “Recommendations for Restoration of Meadows Habitat at Arlington’s Great Meadows, Final Report, May 14, 2009”. Copies can be found here on the website. The project then was implemented in 2010 and 2011 with the help of many volunteers. The open upland meadow you now see near the kiosk was once scrubby woodland. There was an extensive fire in AGM on the afternoon of April 17. Although the fire was mostly confined to the lower wetland areas, some upland areas especially in the northeast near Shelia Road were also damaged. Approximately 100 acres of a total of 183 acres were affected. Regrowth in the wetland areas is likely to be very rapid. Here is a map (2MB PDF) showing the general extent of the fire, although the burned areas were somewhat patchy even the the central meadow area, perhaps related to water levels. The fire was almost certainly of human origin, but there is no information about whether it was accidental or intentional. We also have a photo page of some after fire pictures. We welcome any photos of the fire that you might have to share. The wetland area is recovering quite rapidly after the fire although the situation is more mixed in the upland areas. More photos to come soon. 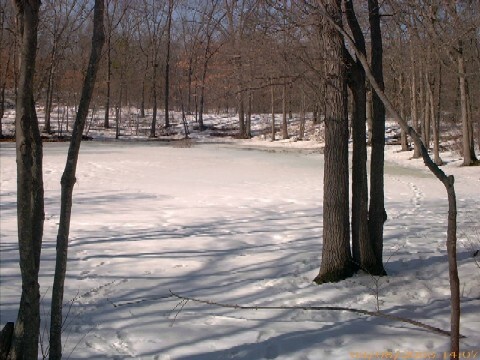 A Natural Resource Inventory and Stewardship Plan commissioned by Arlington's Conservation Commission, was completed in 2001 by Frances Clark of Carex Associates. Copies are available at the Arlington and Lexington Public libraries. It is available here on this web site.